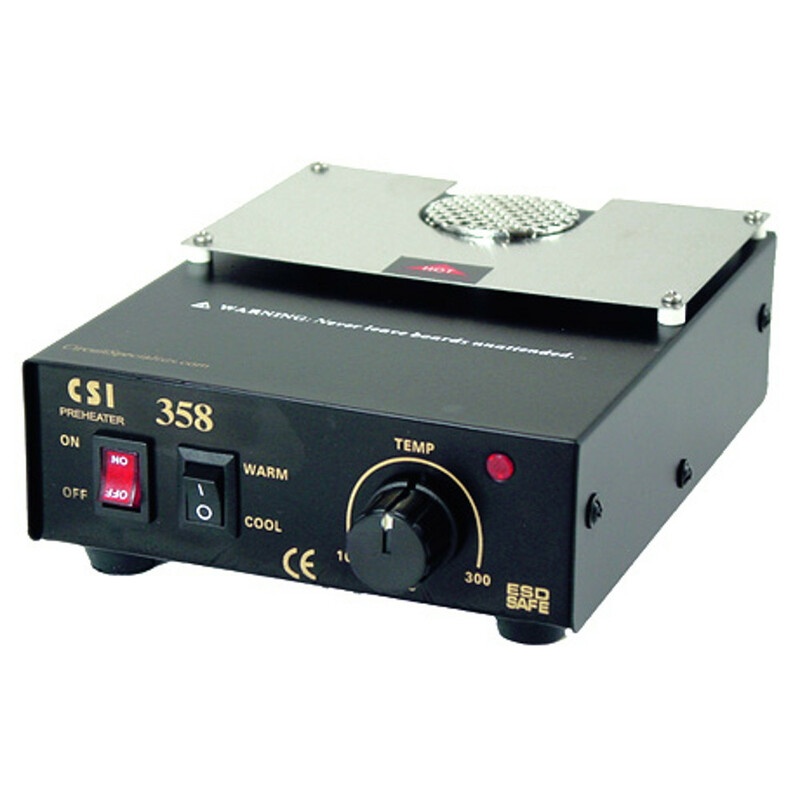 The CSI358 is designed to preheat PCBs and prevent panel board bending. It is thermally stable with closed loop variable temperature control and emits air through a carbonless brush system for longer life. The design includes hot and cool air adjustments especially suited for heating and cooling PCBs.